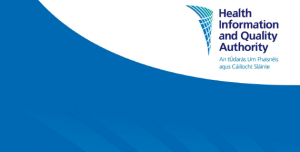 The IVVA welcomes the Health Technology Assessment on smoking cessation interventions published by HIQA today. One of the headline take-aways from the report is that HIQA clearly state that providing inaccurate information on comparative risks is unethical as it fails to allow people to make informed choices. Hopefully, this means we will see a reduction in the level of misinformation about vaping prevalent not only in the medical arena, but also in media and political discourse. Although the terms of reference of the assessment only looked at vaping products in a clinical smoking cessation context, it is none the less welcomed that HIQA acknowledge the wider public health potential of tobacco harm reduction through smokers switching to vaping. However, it is now increasingly accepted that random control trials are not the best way to measure effectiveness of e-cigarettes for quitting, dues to the amount of variables in devices and the number of different combinations of device, nicotine strength and flavour. As yet, Ireland is lacking the kind of after market population level studies that will give us a true picture of their role in reducing smoking. An analysis of Eurobarometer data recently published in the journal ”Addiction” found that across the EU, vaping has been responsible for 6.1 million smokers eliminating their tobacco use. Most notably, however is the recognition in the assessment that if the numbers of smokers switching to vaping increases, it will represent a considerable cost saving to the state and the numbers of people making quit attempts will increase. Current regulations introduced under the EU Tobacco Products Directive, however mean that businesses who manufacture and supply vaping products cannot advertise them or their benefits, which will have a negative effect on their uptake among smokers. The IVVA is also currently in consultation with the Department of Health and HSE’s Office of Tobacco and Alcohol Control on a provision of the directive that could see Irish consumers having to wait 6 months before new products reach the market here, when in both the UK and France these waiting times have been considerably reduced. The HIQA Health Technology Assessment is a lengthy and detailed report, so the IVVA will be giving it careful consideration over the consultation period, which ends on February 3rd.